What’s you favorite Italian wine? Have you ever tasted Amarone wine? There were a lot of wine events in my last week! I’ve started with Io Bevo Così Milano, then Pizza Gourmet organized by AIS (I’ve showed you the event on my Snapchat) and the last one was Amarone 2013 Preview. I’ve already published the video of Amarone 2013 Preview on my YouTube channel. I suggest you to click on “subscribe” to stay always up-to-date on my next videos. Now I want to tell you something about Amarone wine and the event. Amarone is an Italian red wine produced in Valpolicella region. 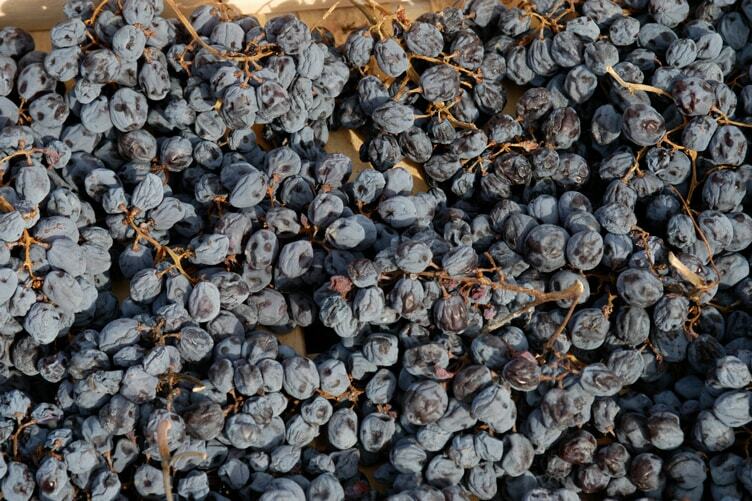 The main grapes are Corvina (from 45% to 95%), Corvinone (it can be substituted for Corvina maximum 50%) and Rondinella (from 5% to 30%). On the nose you can identify dried fruit, tobacco and spices. Tasting, it’s full-bodied, crisp with a lot of smoothness, great character. The ageing can last more than 20 years. 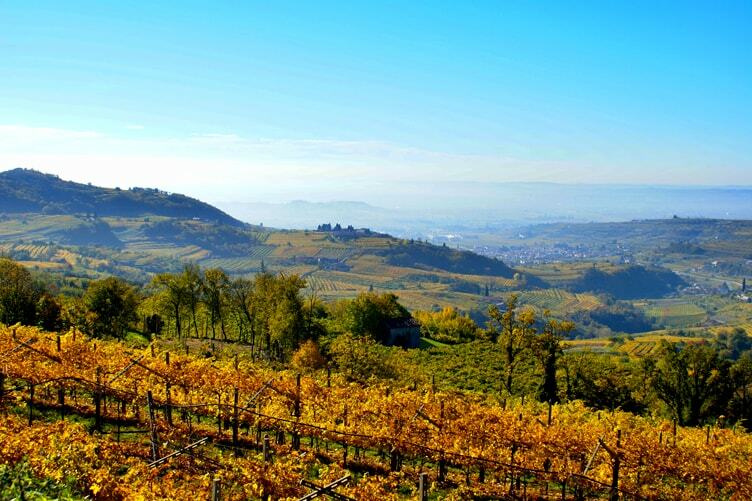 Valpolicella is a small hilly region in Veneto, near Garda lake. There are 19 districts. Its surface is 240 kmq and it’s surrounded by Oriental Pre-Alps in the North, in the South by Adige river, in the East by Verona and in the West by Valdadige. Valpolicella is also known for the extraction of Red Verona marble. In this region there are a lot of Venetian villas and exactly in these villas were born the main wineries of Valpolicella. the bottom is flat with alluvial sediments. Amarone wine was accidentally create from Recioto (Italian dessert wine). Around 1940 a winemaker forgot to stop the fermentation of a Recioto barrel. Then the whole amount of sugar became alcohol. The result was a dry wine, this is the reason why “Amarone” name. The difference between Recioto and Amarone wine is the interruption of fermentation in the Recioto wine. Amarone obtained DOC designation in 1968. You can discover the meaning of “DOC” and many other terms in Wine Dictionary, it’s totally free! It was born in 1924. In this association there are winemakers, grapevine growers and bottlers of Valpolicella wine production area. The Consortium has an important role. It safeguards brands and viticulture in Valpolicella and it promotes wines as Amarone of Valpolicella DOCG, Recioto of Valpolicella DOCG, Valpolicella Ripasso DOC and Valpolicella DOC. On 28th of January took place the 14th edition of Amarone 2013 preview in Verona. The location for this event was Gran Guardia palace, near Verona Arena. The event was organized by Consorzio tutela vini Valpolicella with 78 wineries. This edition of the event lasts one more day than last year. The event started on Saturday only for press, Sunday for all wine lovers (tickets were sold-out) and Monday for professionals. Another news was the glass, produced by VDglass, to enhance the maximum expression of the wine. The most of 2013 bottles were sample from barrel. The wineries has presented also older vintage of Amarone in addition to 2013. The 2013 vintage has a medium-high quality. The weather in that vintage was overall positive: rainy spring and hot summer. On Saturday 28th there was a conference with Philippe Daverio and Andrea Scanzi about the authenticity and the identity of Amarone. You had the possibility to taste all Amarone wines in a blind taste with AIS sommeliers. Such an interesting experience. If you don’t know the winery in which a wine is produced, you are not influenced during the tasting. The event was so well organized to let tastings of wines in every stand, giving the possibility to speak with each winemakers. 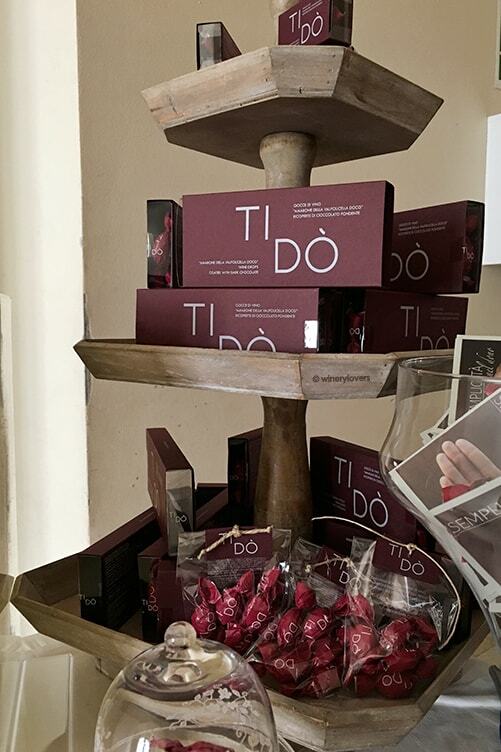 There was also the stand of TI DO’, the first candy with Amarone wine. That’s a delicious gift for every wine lover! To complete the wine tasting there was a food area. If you want take a look to the event, you can see my video on YouTube. I’ve tasted a lot of Amarone 2013 wines but among those i preferred 5 wines. Below you can find the list in order of tasting. I’ve found the first and the second wine in the blind tasting. Le Guaite di Noemi – Amarone della Valpolicella 2013 (barrel). It’s quite limpid and consistent, with ruby red color. On the nose you can recognize fruit, coffee, chocolate, licorice. This wine is intense, complex, fresh and quite tannic. It’s full, ready and harmonious. 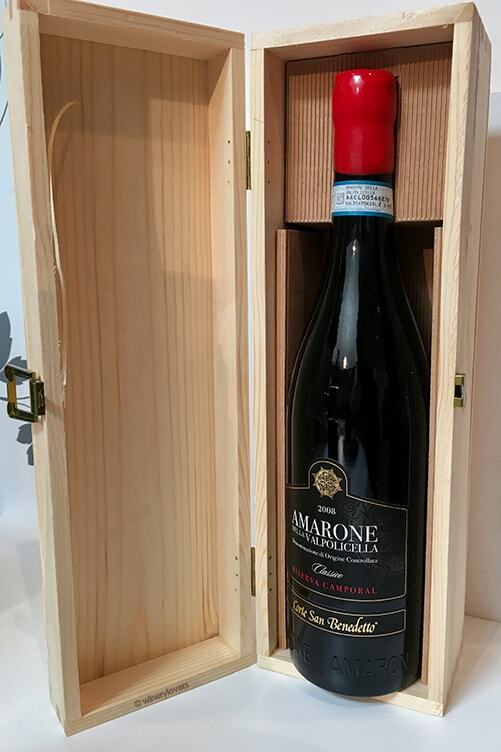 Accordini Stefano – Amarone della Valpolicella 2013 Classic (bottle). Limpid, ruby red color and consistent. The smell is intense, complex, fine with notes of violet, cinnamon and tobacco. On the palate it’s medium-dry, soft and tannic. This wine is full, ready and harmonious. Corte San Benedetto – Amarone della Valpolicella 2013 Classic (barrel). This Amarone wine has ruby red color; it’s limpid and consistent. Smelling, there are notes of dark cherry, licorice and a grass hint. On the palate it’s intense and quite tannic. It’s a young wine with an interesting evolution. Fumanelli – Amarone della Valpolicella 2013 Classic (barrel). This wine is still young. The color is ruby red. Smelling there are notes of dried rose, cherry and licorice, with grass hint at the end. It’s intense, complex and quite tannic. Filippini – Amarone della Valpolicella 2013 Classic (barrel). Color is ruby red, this wine is limpid and consistent. On the nose there are notes of fruit and spices, with a hint of wood. It’s intense, complex and quite tannic. This Amarone wine is young and harmonious. What’s your favorite Amarone wine? Amarone 2013 Preview has been a great success! The organization of the event was extraordinary and I’m really happy to have taken part in this event. Now I would like to know what’s your favorite Amarone wine. You can comment this post or send me a Snap. The next event in Verona will be Vinitaly. It will be the 51th edition from 9th to 12th of April. Let me know if you’ll be there!